Operation Once in a Lifetime » Look at what YOU made happen! Look at what YOU made happen! Thanks to your support, we have helped 900 military families that needed a little extra help during the holidays. Watch the video and see what your support meant to these military families. More exciting stuff, we made the news!! Sgt. Jones wife, who is six months pregnant, was admitted to the hospital till the end of her pregnancy due to complications with her twins. Sgt. Jones could not afford to visit his wife who is admitted to a hospital 100 miles away from his duty station. 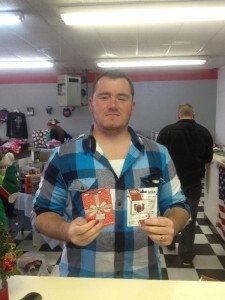 So we provided these donated gift cards so he could be with his wife during Christmas. He said, to meet Troy Polamalu. So after a couple of phone calls, Troy visited SSG Rollason in the hospital. Troy, OOIAL’s biggest supporter, told him if and when he is up for a game, to let him know. 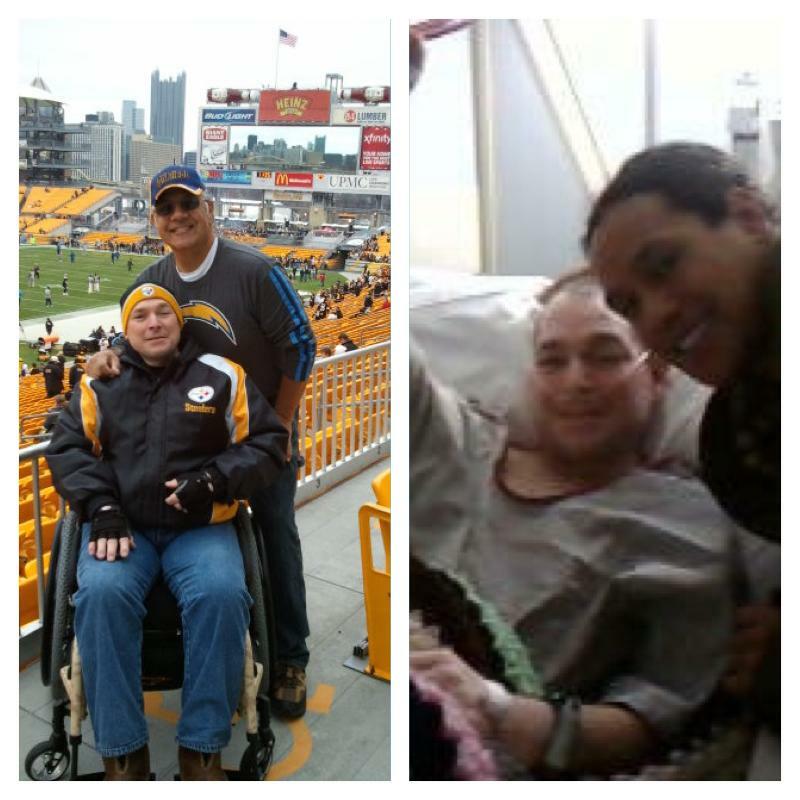 With the help of OOIAL and Troy, SSG Rollason went to the Steelers vs Chargers game 2 weeks ago. 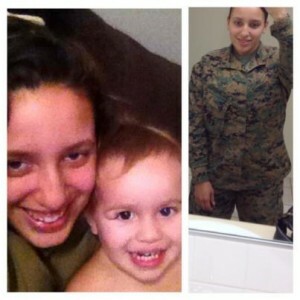 LCpl Cornish is a single mom and Marine who lost her grandfather last month and took emergency leave to go back home for the funeral. Because of this, she was short on her rent for the month and was just hours from being evicted for being two weeks behind on her rent. Thanks to OOIAL, this mother and Marine will be sleeping in their apartment tonight with their rent caught up. These are just some of the storied OOIAL and you helped accomplish. To see more eye-opening stories and keep up with us, check out our facebook page.